​I completed my Bachelor of Science in Biology at Saint Louis University in 2012, with a senior year project on overwintering and buoyancy control in the painted turtle (Chrysemys picta). After this, I obtained my Master of Science in Zoology at The University of Hawaii at Manoa in 2015. 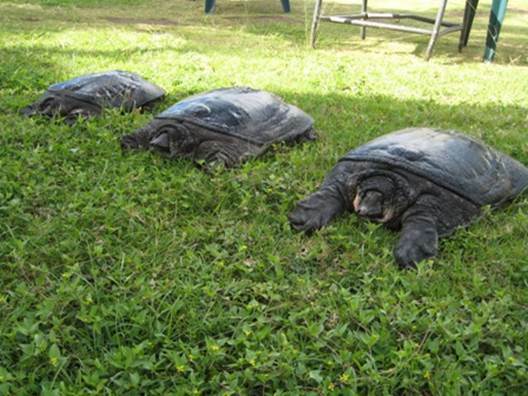 My thesis examined the phylogeography and population genetics of introduced softshell turtles (Pelodiscus sinenesis and Palea steindachneri) in the Hawaiian islands. Please see my publications for more information on these topics. Follow me on twitter (@colorfulagamids)! My PhD research examines patterns of speciation and secondary contact, particularly the contribution of animal coloration to reproductive isolation and divergence in a contact zone between lineages of tawny dragon (Ctenophorus decresii). The species comprises two divergent lineages, geographically separated into a ‘northern’ and ‘southern’ lineage which interact and hybridize in a narrow contact zone. 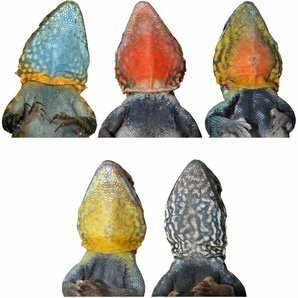 They have lineage-specific male throat coloration. The polymorphic northern lineage has four distinct throat color morphs: orange, yellow, yellow with an orange center, and grey. The monomorphic southern lineage has ultraviolet-blue throats.